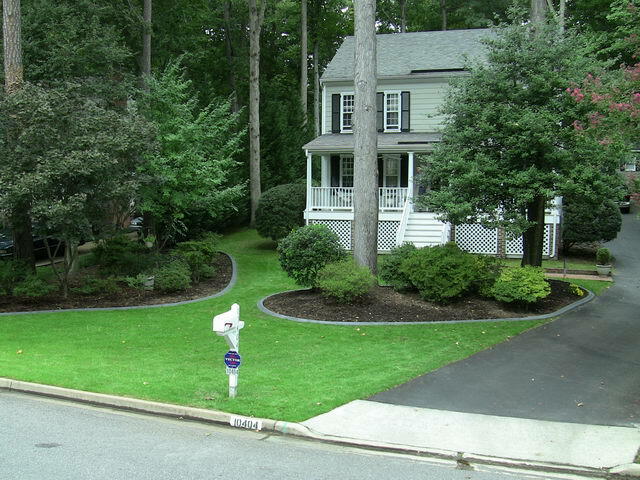 This edging is called Mower Edge style. It is configured to allow your lawn mover wheel to ride along the curb. The color is charcoal as you can see. As always upon finishing we apply one coat of sealer on your Mower Edge. As you can see in the video the curbing is nice, neat and looks good. And to add to all that it has a real function. It lasts like Mower Edge concrete and gives you an edging that keeps your mulch in and grass out. Call us at 804-261-7778 or fill out our form below to get any of your concrete projects started!